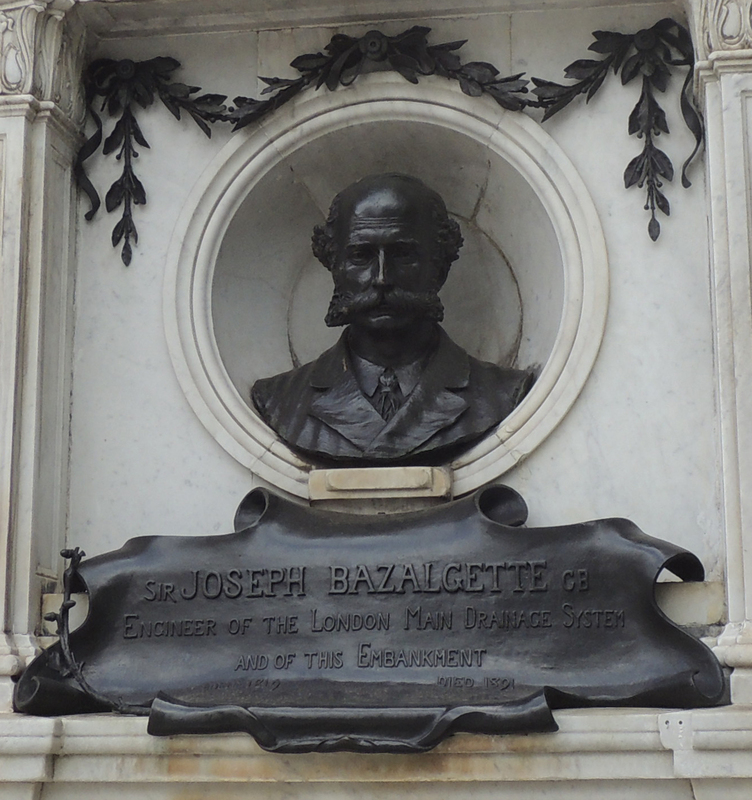 Bazalgette was born in London in March 1819, the son of a Royal Navy captain. After school, he did not follow his father but instead became an engineer on the Railway and soon became an expert in land drainage and reclamation. In 1856 he was appointed Chief Engineer of the London Metropolitan Board of Works, set up to oversee large public building programmes. The first task was the building of a new sewer network for the city as in the period 1853-4 10000 Londoners had died as a result of Cholera infection. Bazalgette set about this project and by 1866 most of London had been connected to a new sewer network which controlled the outflow of waste. He was also the engineer responsible for the Victoria and Albert Embankments (opened 1870) and the Chelsea Embankment (opened 1874). 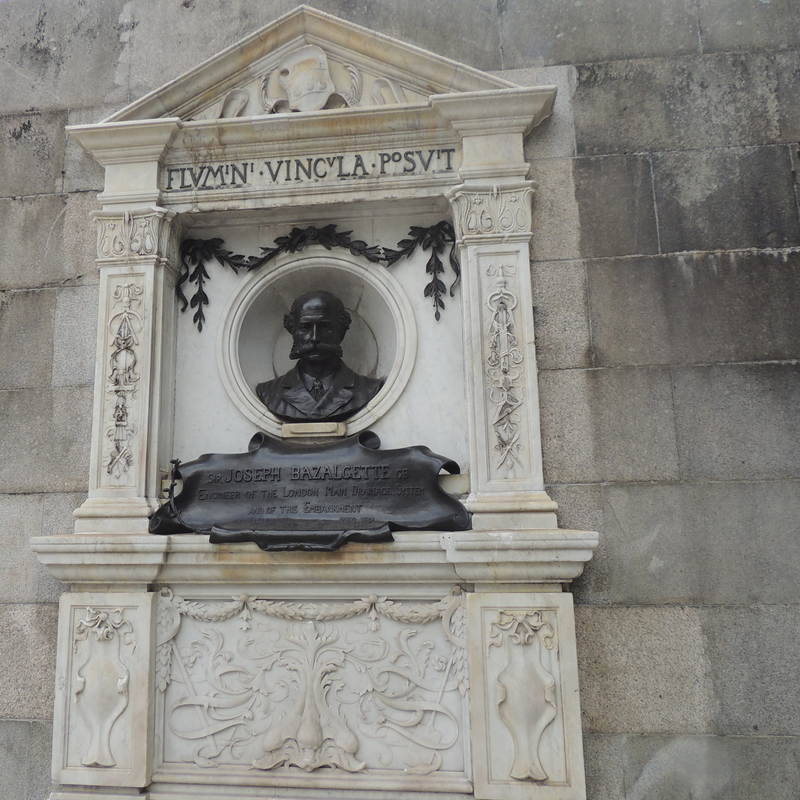 This monument can be found on the Victoria Embankment opposite Embankment Tube station.